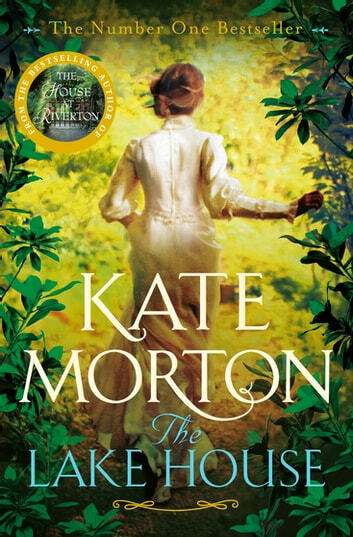 The Lake House by Kate Morton is the mysterious and enchanting fifth novel from the number one bestselling author of The House at Riverton and The Secret Keeper. A missing child . . .
June 1933, and the Edevane family's country house, Loeanneth, is polished and gleaming, ready for the much-anticipated Midsummer Eve party. Alice Edevane, sixteen years old and a budding writer, is especially excited. Not only has she worked out the perfect twist for her novel, she's also fallen helplessly in love with someone she shouldn't. But by the time midnight strikes and fireworks light up the night skies, the Edevane family will have suffered a loss so great that they leave Loeanneth forever. An abandoned house . . .
An unsolved mystery . . .
One of my favorite authors, I've read all her books. I enjoyed this one and how everything tied together at the end but I felt it was too descriptive in many areas and a very long book in general. I did enjoy it, though. History, mystery, romance. What more can you ask? Talk about monies worth. A long read but as you can't put it down you fly through it. Love Kate Morton books. Interesting story but I got lost at times when the story swung from present to past, I also felt that there were just too many coincidences at the end to tie all the loose ends together although several of them had been presaged earlier in the book. I loved it, the characters are nicely drawn and the story happens in different periods, everything connected. Maybe her best novel. Just love Kate Morton books. Anxiously awaiting the next. Don’t hesitate such a wonderfully warming family saga.